If anyone had any doubts about the Fast and the Furious series still being viable, think again. Universal's car racing saga turned insane action movie franchise is stronger than ever with the release of its eighth installment, as evidenced by the incredible dollar intake it's managed to pump into its coffers. The Fate of the Furious, after just 16 days in release, has already crossed the $1 billion mark at the worldwide box office. According to Box Office Mojo, with the current weekend's total factored in, The Fate of the Furious has now grossed a grand total of $1.06 billion at the global box office. That already makes it the second highest-grossing movie in the history of the Fast and the Furious franchise, with 2015's Furious 7 still on top, with $1.51 billion worldwide. However, with the rate at which Fast 8 has been raking it in over the past couple of weeks, don't be surprised if the movie winds up outgrossing Furious 7 by the end of its run. Domestically, The Fate of the Furious has brought in $192 million so far, which is good enough for fourth place in the franchise. Fast Five ($209 million), Fast & Furious 6 ($238 million) and Furious 7 ($353 million) have all done better domestically, but expect that to change in the coming weeks. Interestingly enough, critically speaking, this is not at all the most beloved movie the franchise has ever produced. 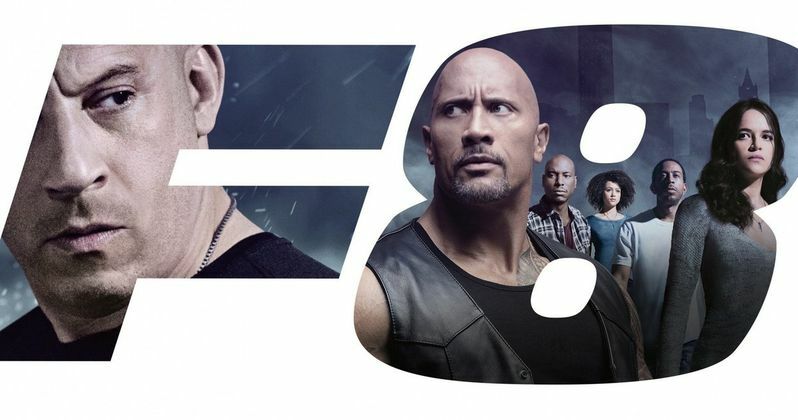 The Fate of the Furious currently has a 66 percent approval rating from critics on Rotten Tomatoes, which trails Fast & Furious 6 at 69 percent, Fast Five at 77 percent and Furious 7 at 79 percent. Still, the slightly more mixed reception clearly hasn't hurt the movie financially. Related: Can The Circle Stop Fate of the Furious at the Box Office? The Fate of the Furious is now the second-highest grossing movie of 2017 overall, trailing only Disney's Beauty and the Beast, which currently sits at $1.14 billion. Beauty and the Beast is winding down, though, so it seems more than likely that Fast 8 will wind up overtaking it to become 2017's highest-grossing movie. But with the summer movie season essentially here there will be lots of stiff competition coming out very soon in the form of Guardians of the Galaxy Vol. 2, Alien: Covenant, Pirates of the Caribbean: Dead Men Tell No Tales and Wonder Woman, among others. Even if Fate of the Furious didn't make another dime at this point, it would still be a massive success for Universal and wholly justifies their plans for at least two installments in the franchise, in addition to some proposed spin-offs. They are currently working on a spin-off movie featuring Dwayne Johnson's Hobbs and Jason Statham's Deckard Shaw that will help fill the gap before Fast and Furious 9 is ready to go. With the success of The Fate of the Furious, expect Universal to try and find a way to get as many spin-offs going as they possibly can, because they are going to want to milk this very viable franchise for every penny it is worth.